A 14-storey apartment complex planned for a property adjacent to the University of Manitoba campus is expected to add more than 200 units to the student rental market. 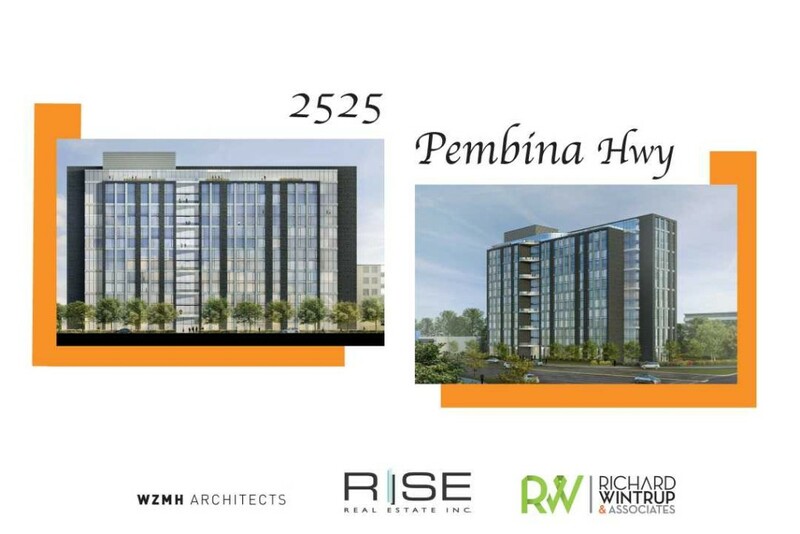 Developer Rise Real Estate is leading the project planned for 2525 Pembina Highway, at the corner of Pembina Highway and Bison Drive, currently occupied by a Dairy Queen restaurant. The building is projected to accommodate 224 units, along with amenities including a gym, more than 200 bicycle stalls, and 52 parking spaces. Janice Lukes, city councillor for the South Winnipeg-Saint Norbert ward, said the proposed development will fill the need for student housing in the area. Lukes has been working to combat illegal rooming houses in the communities surrounding the U of M campus and co-chairs the Stakeholders’ Rental Housing Association, which includes representation from the province, the university and the University of Manitoba Students’ Union, among others. Winnipeg firm Richard Wintrup and Associates is providing planning, zoning, bylaw and consultation services for the project. Denisa Gavan-Koop, a planning consultant at the firm, said an application is being prepared to submit to the city. Once all the documents are submitted, a public meeting will be planned. The proposed site must be rezoned from commercial to a multi-unit residential property before the development can proceed. Under the proposal, rooms in the building will be rented individually, said Gavan-Koop, explaining a unit of three bedrooms would have three separate lease agreements. She said it’s too early in the process to speculate on the potential cost for a room. A survey of the rental housing market in the Fort Richmond neighbourhood, directly south of the U of M, found that although rental options are available in the vicinity of campus, the cost of rent is higher compared to other areas of the city. Last year, the median rent for a one-bedroom unit in Fort Richmond was $910, whereas the average cost in Winnipeg as a whole was $806, according to the survey data provided by the province’s housing and community development department. Statistics on rooming houses or the secondary rental market – housing rented out by the owner but not constructed as rental units – was not included in the survey. The guidelines for how the site develops are set by the city’s official development plan, Our Winnipeg, as well as the Complete Communities Direction Strategy.